This week’s issue of Famitsu provides an update on Team Sonic Racing. There’s only a little bit new, but we do learn about a previously-unannounced track: Doctor’s Mine. The track is said to be a wide stage where you don’t really have to worry about falling off, and there are plenty of jumps and tunnels that make for a high speed race. 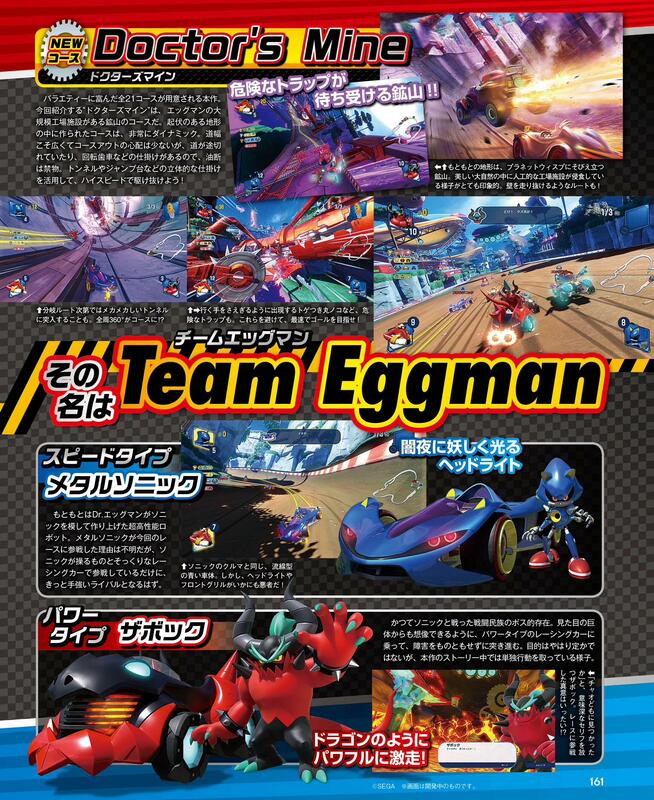 Famitsu also goes over the recently-revealed Team Eggman. Metal Sonic is a speed type, Zavok is a power type, and Eggman is a technique type. 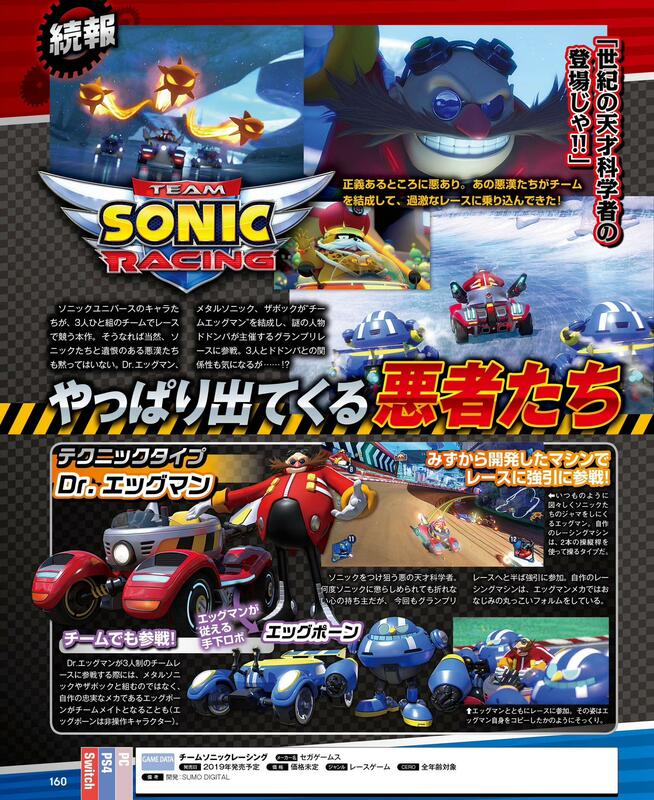 They also tease the possibility of Dodonpa being somehow related to Team Eggman. Famitsu shows off what looks like story scenes / CG sequences, but doesn’t really say anything there. 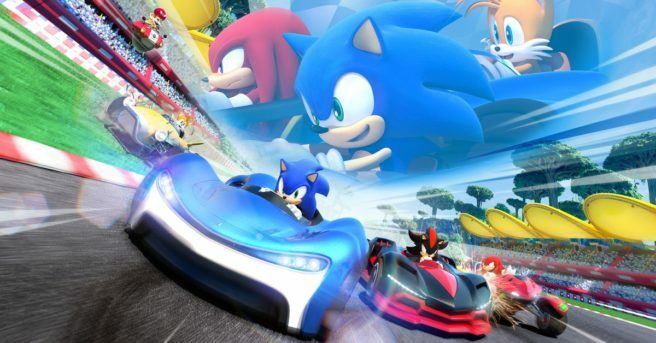 The magazine states: “Where there’s justice there is also villainy” before simply saying that Eggman and the others are participating in the race.